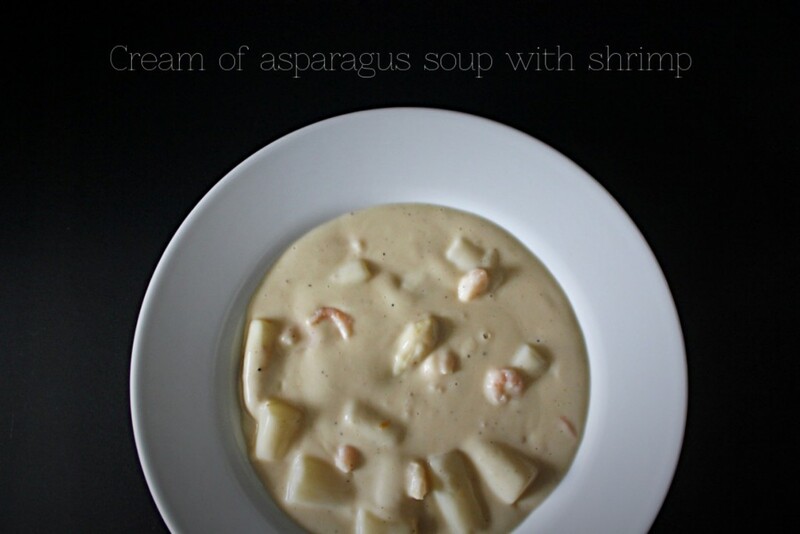 Cream of asparagus soup is something so many people by in a can or a packet. But honestly, at least while asparagus is in season, you should try making it yourself. It is a bit of work, but it’s no rocket science. 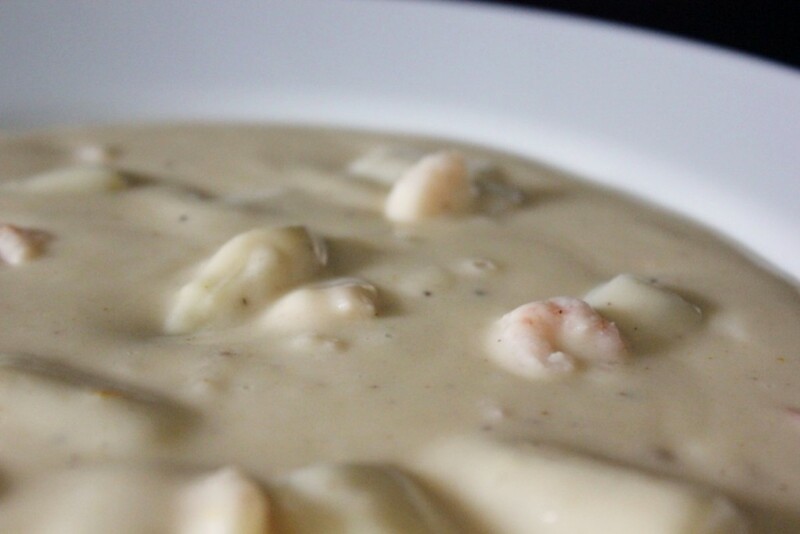 For this version, I added shrimp to a classic recipe – they complement the soup’s flavor in the best way – and, I mean, shrimp is the bacon of the seas. Makes pretty much everything taste just a little bit better. Wash and peel the asparagus, trim the ends. Cut it into 3cm/1.5in pieces. Cook the peel and ends in 750ml salted water for about 20 minutes, in a medium-sized pot with the lid on. Sieve the broth into a bowl, discard the peel. Place the asparagus in the pot, add the asparagus broth and cook for another 20 minutes. Using a slotted spoon, transfer the asparagus to a bowl, set aside. In another medium-sized pot over medium-high heat, heat the olive oil. When it is hot, add the flour all at once and stir to combine, let it cook for 2 minutes, stirring continuously. Add the asparagus broth, stir and let it simmer for 5-6 minutes. Remove the pot from the heat. In a small bowl, whisk the egg with a little soup. Add it to the soup together with the wine, Osborne, orange juice, vegetable broth and cream. Season with salt, pepper, nutmeg, cayenne pepper if you like (I think it is a great match), sugar and Worcestershire sauce. 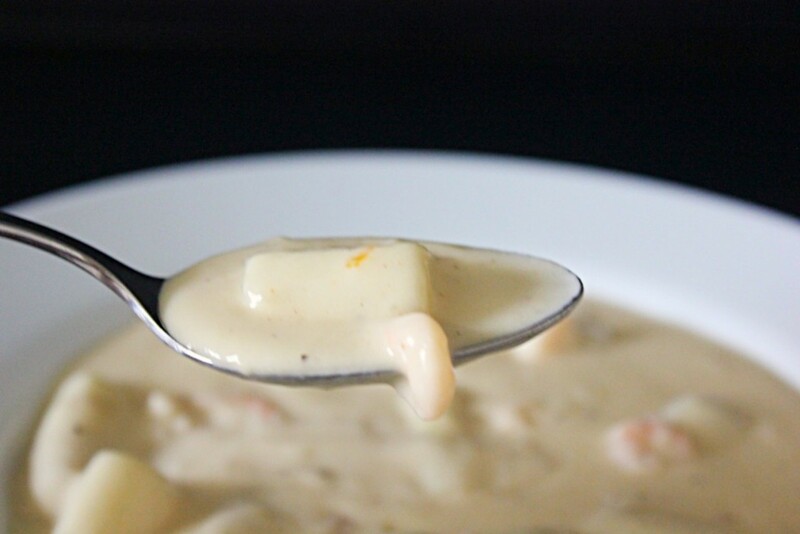 When you feel like it tastes right, add the shrimp and put the pot back on low heat, allowing it to warm up, but don’t let it boil or the egg will curdle. After 5 minutes, add the asparagus, and turn off the heat. After a few minutes, the soup is ready to serve.